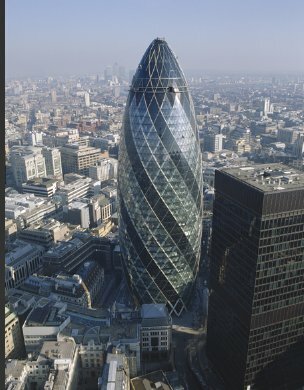 I am going to argue here that Sir Norman Foster is the number one architect in the world today, with an unprecedented track record of instantly recognisable buildings that enrich and excite and basically go against the grain of the present architectural and planning trends. 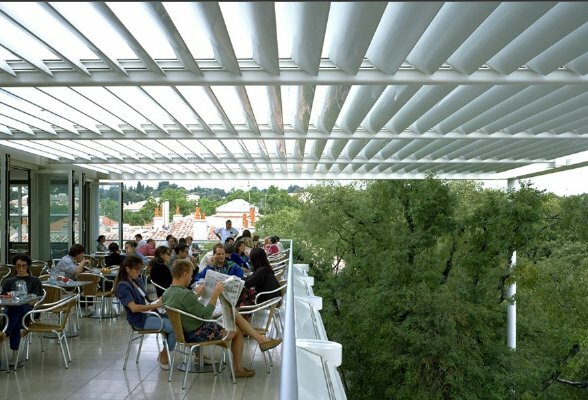 It all started when, in the mid-1980s, Norman Foster became famous. 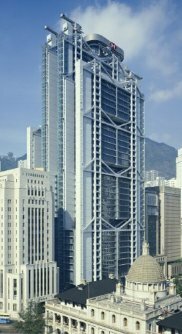 This was most likely because he had designed The Hong Kong and Shanghai Bank Headquarters which began in1979 and was completed by1986. It was quite a turbulent time; there was an incredible amount of change in the financial world in the mid-1980s, especially with respect to stock markets, computer networks, the re-unification in Germany, heading toward the Euro and the climate of mergers and acquisitions. Hong Kong was still British, and there was a renewed interest in Capitalism in the wake of the faltering of Communism. Hollywood produced movies like “Wall Street”, and brands became important fashion statements — and people became brands in the new form of celebrity resulting from a general relaxation of regulation and restrictions. This building may be understood in that historical context, but it is not just a pandering to display of capitalist power, a money-phallic symbol. Yes, Foster did all that, and no doubt kept his clients happy as a result, but he managed to do more — he created a symbol of Hong Kong — something that would be flashed onto the TV screens a decade later when Hong Kong was returned to China. This is a landmark building, and so Foster left his mark on a whole City, on a whole culture. But he didn’t stop there. Foster then got to design and realise Hong Kong International Airport — Chek Lap Kok. When you stop to think about it, this is the very first impression of Hong Kong that visitors see upon arrival, and so Foster has managed to design both the most recognisable building in, and the gateway to Hong Kong. As such Foster’s vision for Hong Kong is the shared experience, his view is our view which is, somehow, the official version. Based on ideas borrowed from Stansted in England, and scaled up to make one of the world’s largest airports, the project was complete by 1998. He then turned to the city of Glasgow, and with a single project, he created a landmark building that created so much excitement that it brought a dying city back to life (see The Most Important Building In Scotland). 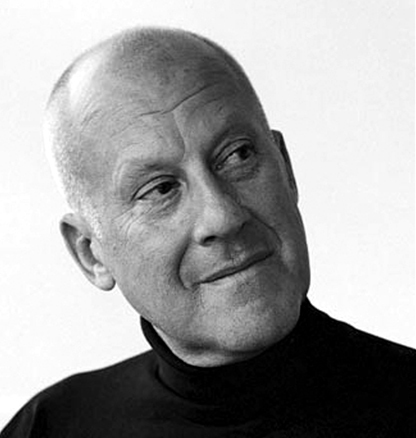 Glasgow was then awarded The European City of Architecture and Design 1999, and that same year Sir Norman Foster won the prestigious Pritzker Prize. 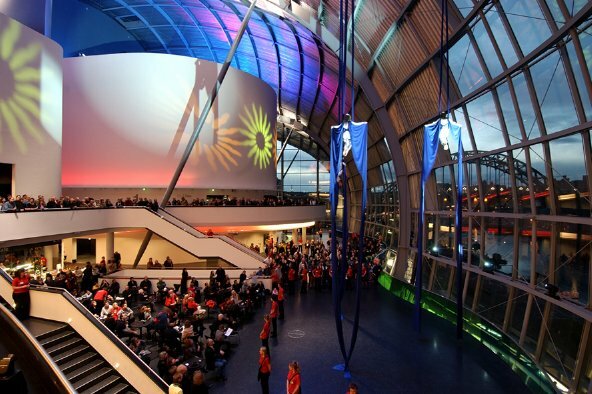 The runaway success of the Clyde Auditorium led to Foster being invited to design the entire area for the future. This is presently undergoing a redesign as a result of Glasgow losing the UK super casino bid. Let’s pause and consider for a moment here: Foster has designed a bank, an airport and a concert hall. Architects often argue that because owners and uses change over time anyway, it would be a folly to build on the basis of original function alone. They suggest that people should have to adapt themselves to use the building. The important thing to realise here is that each time for these three projects, Foster had been given a very clear and simple brief — to design a single-use building (airport, office, concert hall), and from then on he could design on form alone — this is perhaps why the buildings are so successful… they do what they are supposed to, but they have their own personality, character and identity too. But these buildings are NOT “modern” in the sense of belonging to “modern architecture”. Modern architecture was supposed to be about exploiting the characteristics of materials — especially re-inforced concrete, and steel frames — which led to flat roofs, glazed external walls and thin, clean lines and angles. The important feature of modern architecture was that it did not attempt to be like nor refer to Gothic, Tudor, or Roman or Greek Classical styles. It tended therefore to avoid features altogether, with simple flat roofs, and flat, smooth, matt, plain walls to allow a bland backdrop for furniture, artworks and even nature — which was invited into the interior via glazed walls and verandas. By contrast, Foster’s designs start with the client’s design brief function, but the form is less dependant on exploiting the materials or allowing the building to take a back-seat to contents and nature. In fact none of these — the airport, the concert hall or the bank can be called modern. 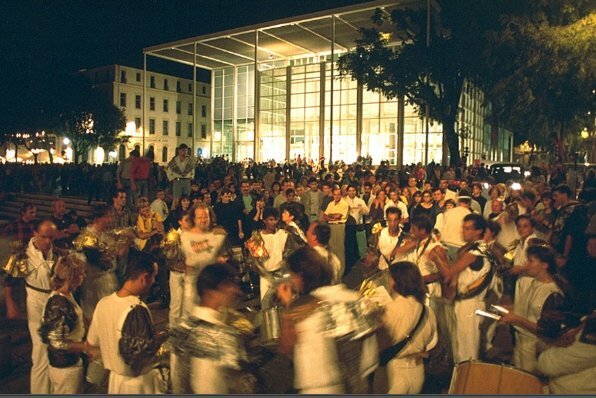 This is why each one is unique — there is no similarity between the airport, the bank, or the concert hall in terms of “a style”. Bear this in mind as we turn to London, England. London is where Sir Norman has most of his buildings, and as a result, this is where Foster’s vision is strongest and where this man has had most impact. I like the fact that Foster designed and built his own offices — The Riverside Apartments and Studio (1986-1990). However, consider that he designed the New Wembley Stadium (1996-2006), and The Millennium Bridge, (1996-2000), and it begins to dawn — this man is redesigning London itself! 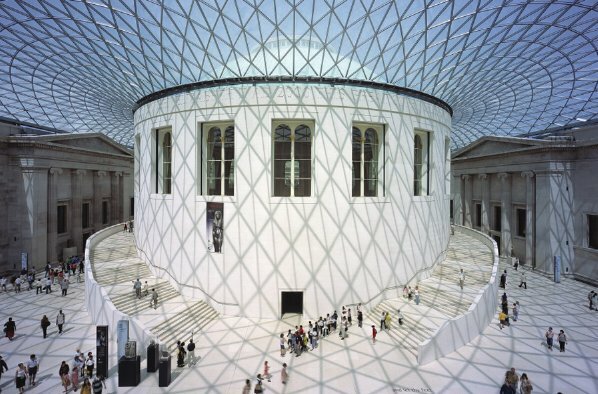 Everyone is amazed by Foster’s work on The Great Court at the British Museum (1994-2000); it is already a tourist attraction in its own right. 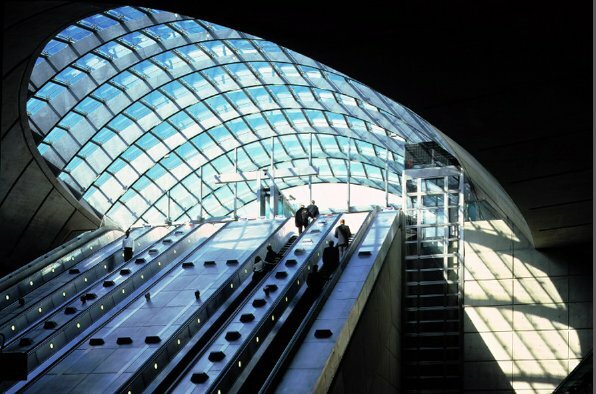 One of my all-time favourites is Canary Wharf Underground Station (1991-1999), which is incredibly long, dramatic and impressive — and almost completely underground! It certainly has a”wow!” factor! 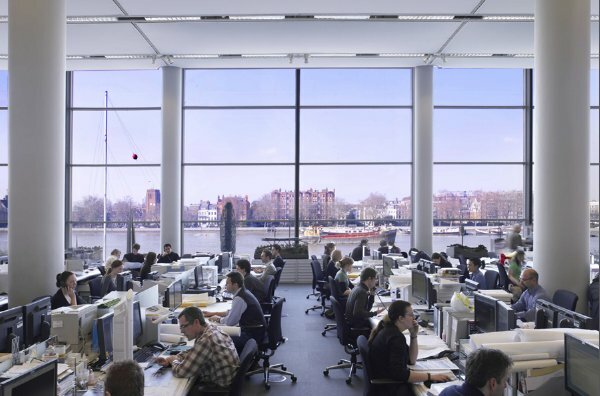 Foster and Partners also designed the sublime yet impressive “More London” project between 1998 and 2003, but there are two buildings that have changed the face of London forever — St. Mary Axe and City Halls. The Building at 30 St Mary Axe, London was designed by Foster and built between 1997 and 2004. It became the 6th tallest building in London, and was created for the world’s largest re-insurance company, ‘Swiss Re‘. It created great controversy, as it was built on a site where the original historic and listed building was bombed by terrorists, but is now an instantly recognisable part of modern London. It is the capital’s first ever ecological tall building. “Generated by a radial plan, its energy-conscious enclosure resolves walls and roof into a continuous triangulated skin, allowing column-free floor space, light and views”. 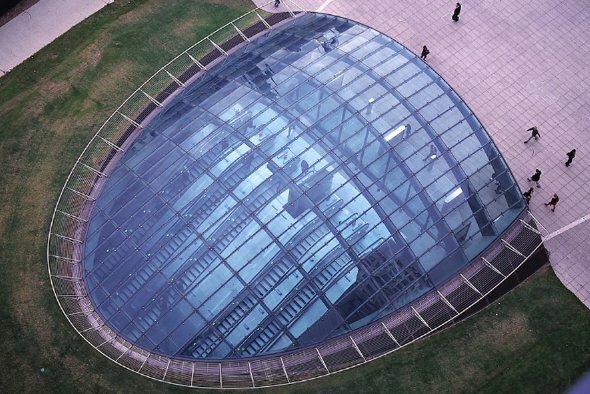 ‘The Gherkin‘ won the prestigious RIBA Stirling Prize for the best new building of 2004, and was the first time that the prize jury was unanimous in their decision. It also won the 2003 Emporis Skyscraper Award for the ‘Best Skyscraper in the World’. It is prominently featured in the opening credits of the popular TV contest “The Apprentice”, and is portrayed as “Harlequin Hospital” in the BBC Children’s TV show “Me Too!”. Unlike the underground station and the “More London” project, this building is more like the bridge and the national football stadium in that it makes a big bold statement, and has it’s own particular personality and character, as well as being associated with modern London. 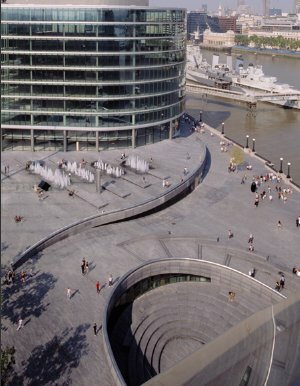 City Hall (1998-2002), on the south bank of the Thames, demonstrates the potential for a sustainable, virtually non-polluting public building. Again, though it was very controversial, especially for being in such close proximity to “more traditional” London landmarks. Foster may be able to ‘get away’ with landmark (i.e. unusual) buildings like City Hall and the Gherkin because of their ‘green’ credentials. Even outside London, in an otherwise bland over-planned and committee-designed PPP and PFI world, Foster is able to build boldly right next to something sensitive and protected, such as countryside or ancient monument. 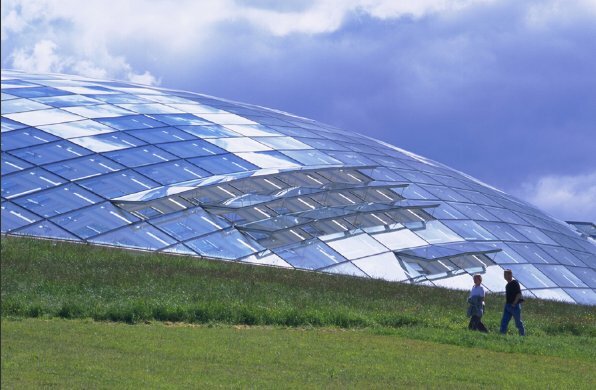 The Great Glass House in Carmarthenshire, (1995-2000) is one such example — a fabulous creation, unexpected in every way. A model of sustainable development, and elliptical when viewed from above, the building is designed to resemble the swells and undulations of the surrounding hilly landscape. It is the largest single-span glasshouse in the whole world. In France, Foster created the incredible Millau Viaduct (1993-2004) — the world’s tallest bridge, but consider an early Foster creation: the Carre d’art (1984-1993) — which is so completely unlike its neighbouring ancient classical building — yet it works! In fancy architect-speak, it encourages a dialogue ancient and modern architectures through the juxtaposition. 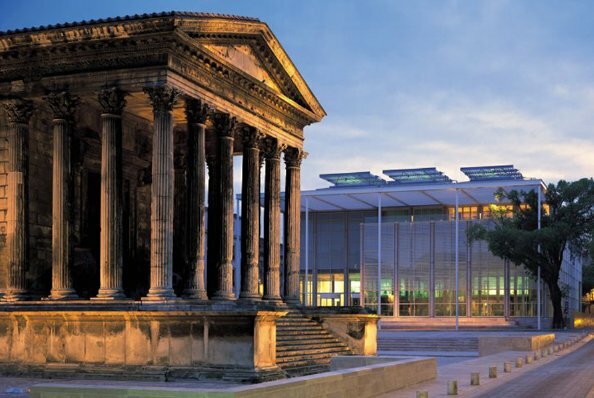 But in fact, the new building re-invigorated Nîmes, bringing life back to a place of decay. During the day as well as in the square at night — which is lit by the façade of the new building. Foster’s work injected new life and interest in an area of neglect. It is difficult to imagine how else this could have been done — certainly not by building something “in keeping” or something “sympathetic” in the sense used by planning officials. One could claim this or that for Foster — the old with the new, the green credentials, the way he brings interest and life, the identity aspects (and more besides), but at the end of the day it always comes down to people — for people use buildings in all sorts of ways, even as landmarks for getting about. Foster’s buildings are important because they represent a people and a place, and often an ideal — so Foster was therefore the obvious choice for the new German Parliament in Berlin. 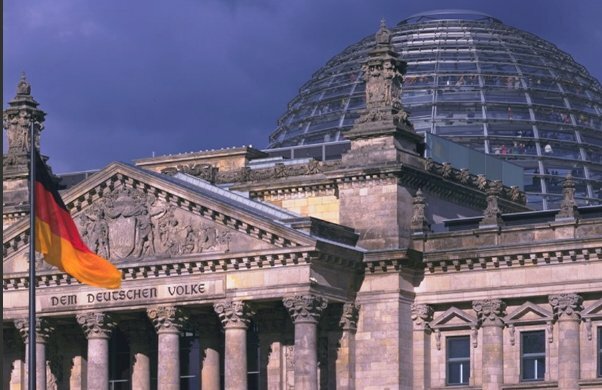 — The Reichstag, (1992-1999) which is an appropriate mixture of old and new — with a famous dome at that! It is to Foster’s credit that his work is better known than himself. His designs and creations do not reveal “Foster”, there is no signature “Foster” style. But, my goodness, how well known is his work! The French are so proud of the Millau, and of the Carre d’art, and the Germans are rightly proud of their Parliament, and it is quite correct that they should not think of a British architect called Norman Foster! The Sage at Gateshead (1997-2004) has done for the Tyne what the Armadillo did for The Clyde. It is a concert venue, a regional music centre, with an enveloping roof that is ‘shrink-wrapped’ around the buildings beneath and which extends over a large public concourse. Like City Hall in London, The Sage drew controversy for being in such close proximity to historically well-known landmarks, but like the Carre d’art, the building has created a new social buzz to an area in decline. 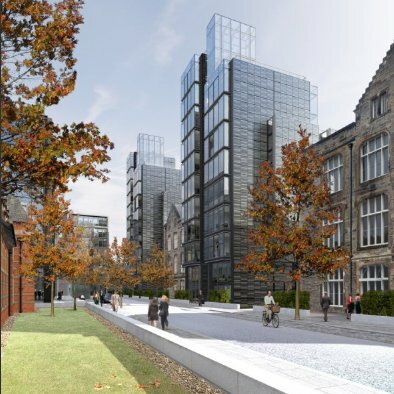 Foster seems to have been recognised for being able to bring new life, which is perhaps why he was chosen to come up with the master plan for the former Edinburgh Royal Infirmary in Scotland’s Capital. The nearly finished Quartermile (which began in 2001) shows how an inner-city site that has outlived its former use can be transformed to create a new high-density urban community. This large site will become a vibrant new urban quarter, with over 700 new homes, high-quality office space, a five-star hotel, a health club, restaurants, cafés, a supermarket and other shops. There are many famous architects and many fabulous, award-winning buildings, but Norman Foster’s record surely sets him above the rest. His work is significant in what it does for an area, for the people who live there, and for changing preconceptions and impressions of people and places. His work to-date surely guarantees Foster as the number one architect of this era, and this, together with his future projects will certainly place Norman Foster among the greatest architects. The new station in historical Florence (Firenze TAV), the Yacht Club de Monaco and of course, the world’s largest and most advanced airport — Beijing Airport, with it’s already celebrated dragon-like form and soaring aerodynamic roof. The Zaryadye Project near Moscow’s Red Square, Moscow City Towers and the JFC St Petersburg show that Russia is now ready to accept new architecture in sensitive heritage sites. And of course, what more sensitive site is there than the World Trade Center redevelopment in New York USA, of which 200 Greenwich Street, a 78-storey office tower, is a major part. This entry was posted on Tuesday, May 15th, 2007 at 01:40 and is filed under Articles of Interest, Design Icons, Design Specials, Everyday Wonders, Icons, Structures. You can follow any responses to this entry through the RSS 2.0 feed. You can skip to the end and leave a response. Pinging is currently not allowed. 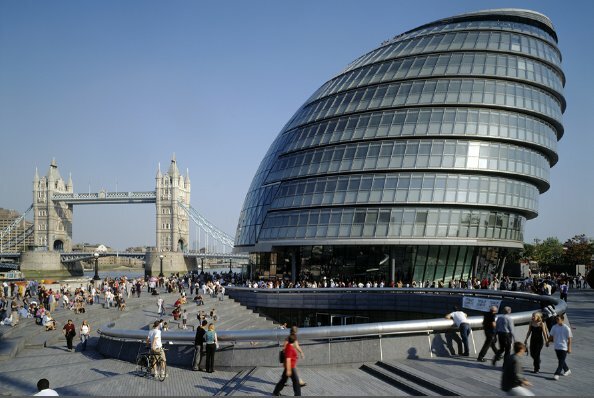 City hall is known as Leaning Tower of Pizzas, Fosters Nutsack, and by the mayor of london ken livingston ” a glass testicle”. It is disgusting!